IP finance: Is monetization a necessary part of a complete patent strategy? Is monetization a necessary part of a complete patent strategy? How far should a company take its patent strategy? Is there some ultimate trajectory that serves as a benchmark for a company committed to making patent strategy an integral part of its activities? 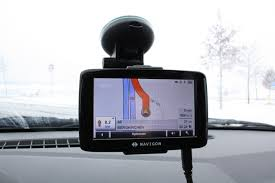 These questions arose in reading the highly revealing article about the patent strategy adopted by the Amsterdam-based satellite navigation system (or satnav) company, TomTom, here. Entitled “The TomTom route” and written by John van der Luit-Drummond, the piece appeared in the May-June 2014 issue of Intellectual Asset Management magazine. It makes for edifying reading. The article traces the steps taken by the company, under the guidance of savvy IP veteran Peter Spours, as the company moved from effectively no patent protection to a sizeable and effective patent portfolio. More specifically, under Spours’ careful watch, the company has sought both to use patents to protect its home-grown technology and to acquire third-party patent portfolios principally to provide a counterweight against patent challenges by both competitors and NPEs. According to Luit-Drummond’s account, Spours’ two-pronged patent strategy has enjoyed unusual success, with particular attention to the company’s ability to purchase useful third-party patents. The sense of these comments is that a robust and complete patent strategy by a successful and mature company requires that its patents need to be monetized—“I don’t view IP as any different from money”. Patent monetization seems to be viewed as an axiomatic element of a successful patent strategy. Certainly, after nearly two decades of being told that patents are an asset class waiting to be commercially exploited, it is understandable whence this view derives. But such an approach seems too narrow, where the challenge is how to quantify the contribution made by a successful patent portfolio to a company’s competitive position and bottom line. In this sense, “monetizing” patents is an ongoing process of assuring that the company’s R&D continues to be patent-protected and that the company has an adequate patent portfolio to fend off third party legal attack. For many companies, these activities are a full time IP occupation. But even if a company can free up the necessary resources to enable it to seek to monetize its patents in the licensing sense, just how eager should a company be to jump on this bandwagon? As Spours himself recognizes, such monetizing will likely require a substantial change in the way that patents are viewed by the company. How many companies can assimilate and integrate the two quite different mind and skill sets—defensive versus offensive uses of patents-- and organize the resources and staff necessary to handle these diverse aspects of patent practice? 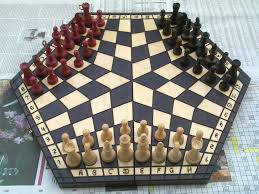 How many companies are prepared for the potential managerial distraction that often accompanies an offensive litigation policy (as expressed euphemistically, becoming “patent assertive”)? How many potential licensees are actually out there, to be reached via litigation or otherwise? After all, Qualcomm, here, and its world-beating licensing program are the exception and not the role. Consider the report this week that Intellectual Ventures will be laying off 20% of its staff, here. However this move is explained, it points to the uncertain nature of relying on licensing and the like as a business model. The upshot is that whether patent monetization as part of one’s business strategy is not for everyone. Depending upon the circumstances, a successful patent strategy may, or may not, contain a licensing component itself driven by engaging in patent assertion activities. It seems much easier to acquire a patent than to know what to do with it! I used to wonder why so many companies left patents on their shelves, unlicensed and unenforced. It's clear that doing something with a patent requires a lot of effort, and so adopting a 'defensive' approach simply avoids the hassle of thinking about what to do. I'm not sure what this says about the patent system as a whole, but having huge portfolios simply for defensive purposes seems like a waste of a lot of resources.